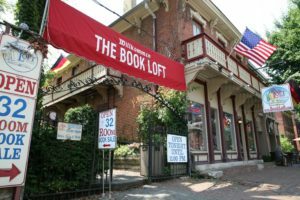 Join local author Pete Planisek on Sunday, October 21st (3:00-5:00 P.M.) in the lower west level (turn left in the first room when you enter the store) of the Book Loft (631 S 3rd St., Columbus, OH 43206), in Columbus, Ohio’s historic German Village district, for a meet & greet, trivia, and a gift raffle. Come and learn more about his fiction novels Frankenstein A Life Beyond (Book 1 of 3) The Resurrection Trinity and Frankenstein Soul’s Echo (Book 2 of 3) The Resurrection Trinity and about his award-winning children’s chapter book Princess Bella and the Dragon’s Charm. Get in the Halloween spirit by helping him celebrate the 40th anniversary of the Book Loft and the 200th anniversary of the publication of Mary Shelley’s iconic novel Frankenstein; or, The Modern Prometheus.